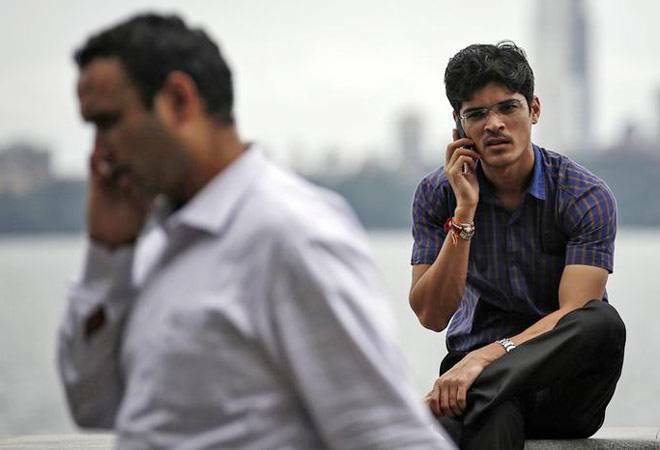 Spectrum allocation: Another 2G-like scam in the making? Telecom regulator TRAI had recommended that both E and V bands should be opened for backhaul with light touch regulation. The regulator had also suggested that the E-band airwaves should be given at Rs 10,000 per annum fee per slot of 250 megahertz (MHz) whereas the V-band airwaves should be charged at Rs 1,000 per annum for each 50 MHz slot. It seems another 2G-like scam is in the making if the telecom commission decides to allot the high-frequency E (71-76 gigahertz frequency and 81-86 GHz) and V (57-64 GHz frequency range) bands on fixed charges to the telecom operators. There are two different views on the issue. Telecom regulator TRAI had recommended that both E and V bands should be opened for backhaul with light touch regulation. The regulator had also suggested that the E-band airwaves should be given at Rs 10,000 per annum fee per slot of 250 megahertz (MHz) whereas the V-band airwaves should be charged at Rs 1,000 per annum for each 50 MHz slot. It further suggested that there should be initial promotional discount of 50 per cent for three years in these bands, and that prices will be reviewed after 5 years based on deployment and usage. DoT, as some reports say, is in favour of auction, which is in line with the Supreme Court's order to allocate the spectrum through auction process. E and V bands are primarily used for tower-to-tower communications (also known as backhaul), and can easily replace the need to lay optical fibre network which is the costliest way to connect towers. As technology progress from 3G to 4G, 5G and beyond, there's an urgent need to increase the backhaul capacity so that higher amounts of data traffic can move at greater speeds. In India, there are just three bands - 27 MHz, 2.4 GHz and 5.8 GHz - which are exempt from licensing for outdoor and indoor applications. Anybody can use these bands without taking prior permission from the telecom department. The 2.4 GHz and 5.8 GHz airwaves are the most-widely used bands available for Wi-Fi while 27 MHz is meant for short-distance radio communications between individuals. The DoT has asked TRAI to reconsider its suggestions stating that "administrative allotment follows the principle of 'first come first served' and the same has been denounced by the Supreme Court in its judgement on the 2G case." TRAI continues to hold its fort. The regulator says that the current pricing model cannot be applied to these bands considering the quantum of available spectrum and the different characteristics of these bands. "In order to promote the usage of these links... higher prices will not help in popularising these bands," said the regulator. A first-come-first-serve allotment system will surely benefit telcos across the board. Since there has never been prior auction in these band ranges, it's difficult to ascertain the amount of notional loss to the exchequer if TC backs the method of administrative allotment. The ball is now in TC's court, and it seems that the regulator's suggestions will be overturned because no government agency would ever want to take credit for initiating an another version of the 2G scam.